healthy living | Move better. Live more. Yay!! I just wrote about 5 paragraphs on the topic of me and my running journey and then something happened to my computer and those paragraphs are now gone forever!! I just LOVE it when that happens. ARGHHHH. So, since I just spent about an hour plus writing and revising my post and it was destroyed… I just don’t have the energy to do it again at this moment. But, I promised myself that I would post today since it has been a while, so I will get something up here. 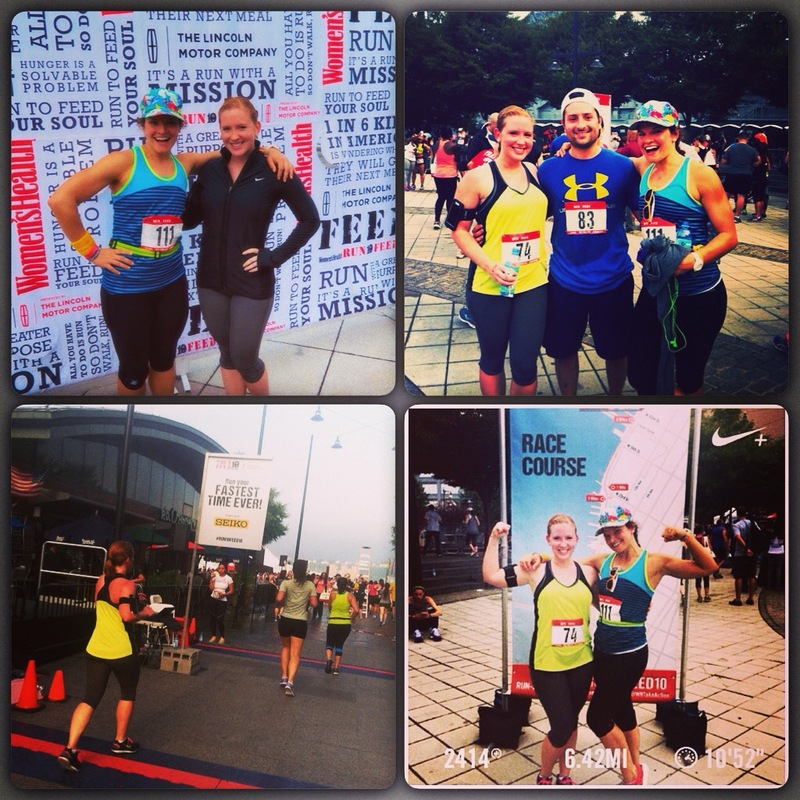 This past Sunday, September 21st, 2014, I ran my first 10K!! it was the Feed and Women’s Health Run 10 Feed 10 10K, and what made it even more eventful was the fact that I got to run it alongside my client Jess and her boyfriend Phil who also participated. It was also Jess’s first 10k and I am so proud of her for stepping up to the challenge and going through with it and finishing the race! Adrenaline kept me going for the first couple of miles but by mile 4, I could definitely start to feel my legs tightening up… but at mile 4 you are already half way there and you just have to keep going!! A few pics from the race. My gear all gathered in one place the morning of, downing some water immediately post race, and a few posed pics in front of the race course. My client Jess and I posing in the Women’s Health tent, a post race pic of Jess, Phil and I, Jess crossing the finish line… and a pic of two strong and fit women!! 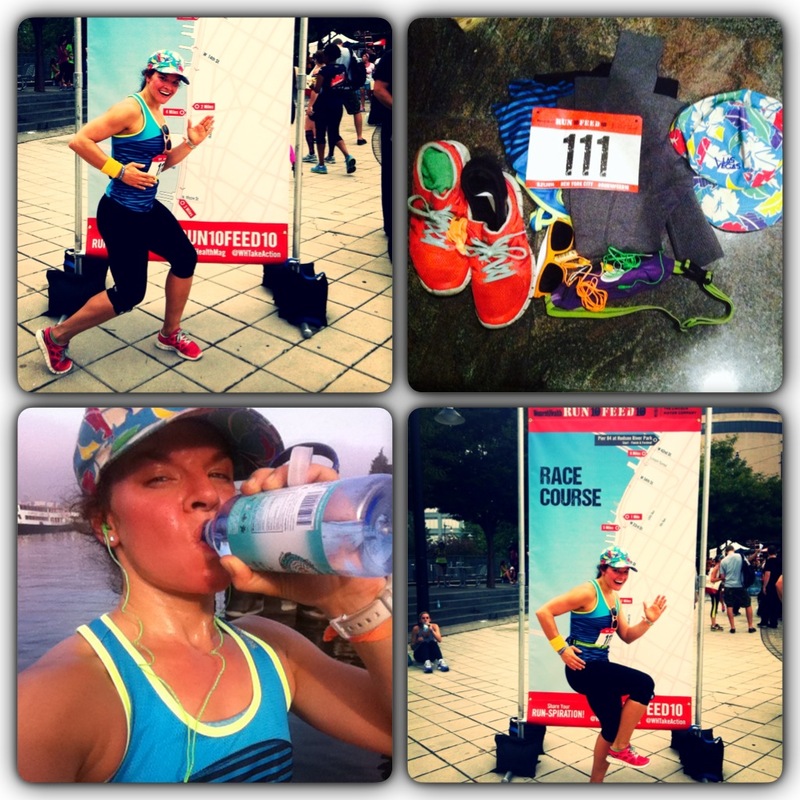 I will have to speak at a later point about getting to the place where I finally decided to run a race, because my journey as a runner started not too long ago and for all non-runners and runners out there alike, I would like to share… but… I just might need to write it all down on paper first. I’m an old fashioned gal like that, and I don’t trust technology. Prior case in point.